Fresh from their hugely popular Banks bootleg, Estonian trio deliver their debut Liquicity EP. 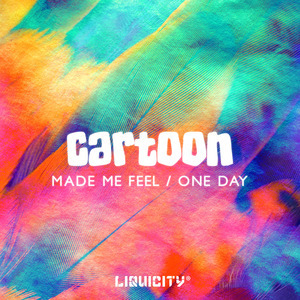 Rainbow flavoured vibes a-go-go (think early Stan SB), "Made Me Feel" is the ultimate 80s gym workout with added 21st century exercises while "One Day" toots a more emotional trumpet. An ideal soundtrack to the climax of an emotional teen-movie, it's the perfect track for those heartfelt, hug-it-out moments all good dancefloor demand at one stage of the night.